This is a 1960 ALCO 125-ton diesel locomotive, according to the web. Quite fancy livery, too. 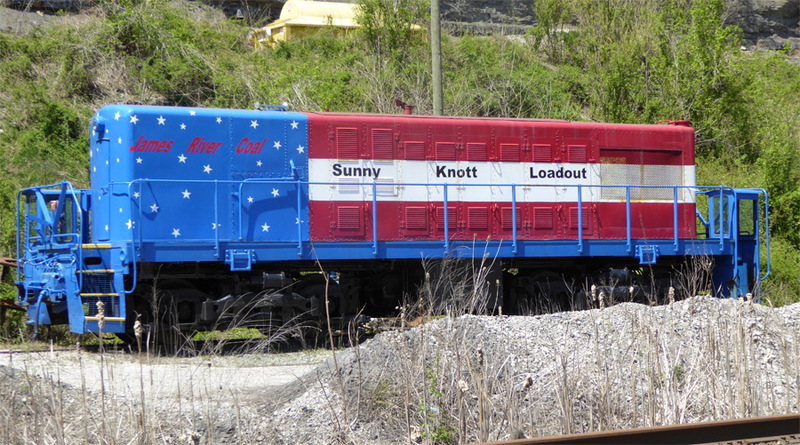 The Sunny Knott Loadout is located at Lackey, Knott County, Kentucky. We couldn’t tell if it was active. The gates were wide open and, even though there was security of a sort, we weren’t hassled at all. From the looks of the surrounding area, this must have been a busy site once upon a time. 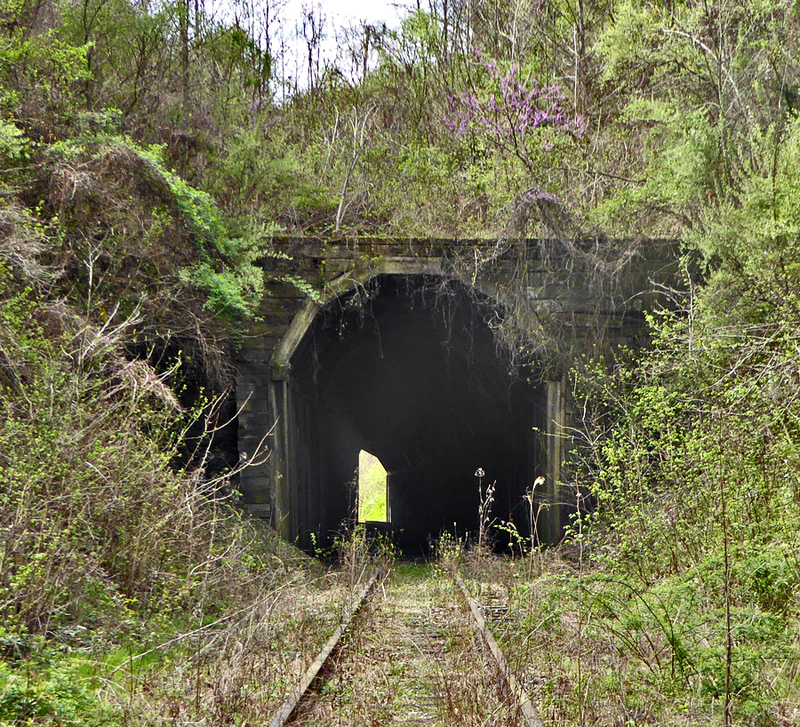 We’re on the Long Fork Subdivision of the old C&O that ran from Martin KY to Hi Hat. 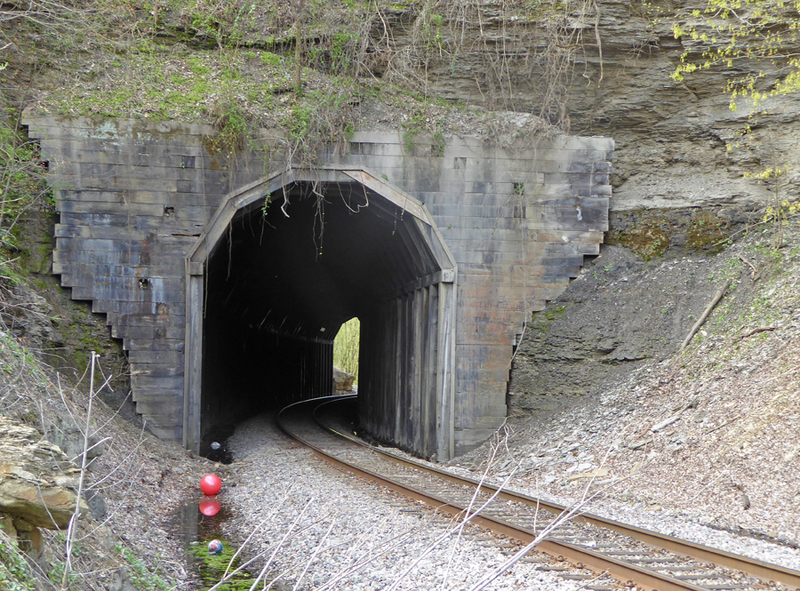 This is the north portal of a tunnel, faced out and supported by wood, near Printer KY (named for a John Printer, in case you were wondering). Again, I don’t know how old these wood supports and facings are. 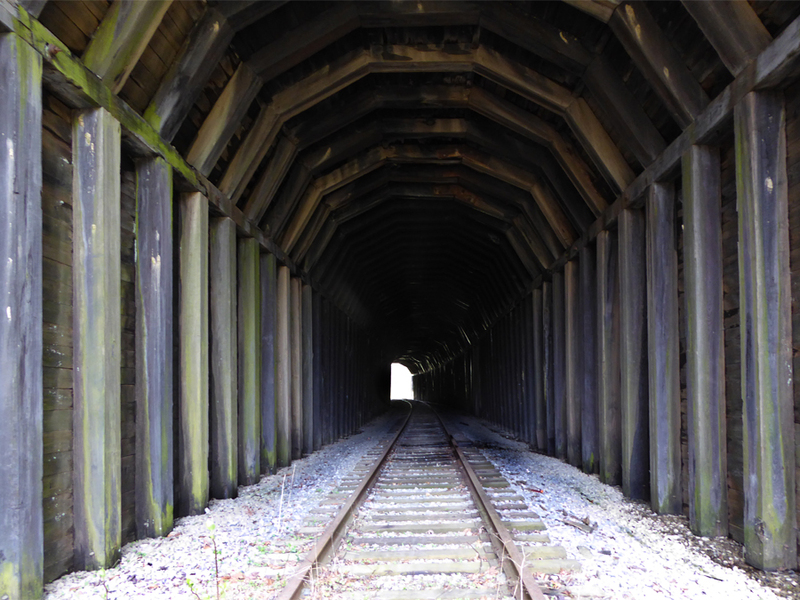 The line went in sometime in the late 1920s and was active up until the 1990s. 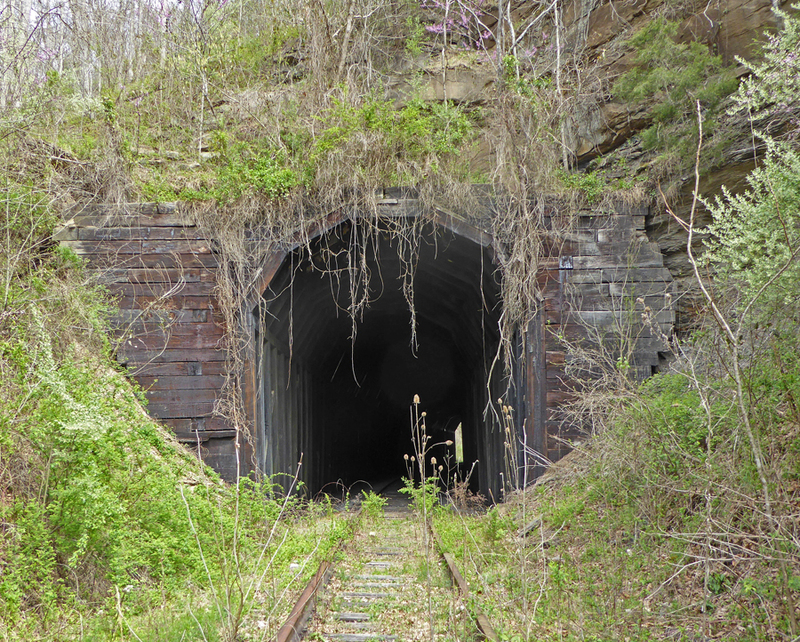 This is just outside Martin (old Beaver Creek) KY on what was once called the Elkhorn and Beaver Valley Railroad (there’s a split in Martin: the E&BV went west, the Long Fork subdivision went south). It’s supported by wood bracing and framing. This line was built in the 1913-1914 time period, but I don’t know if this wood structural support dates to that time. The timbers are gray with age and have been heavily imbued with creosote. This is an abandoned line.